We host two different ceremonies here at the Groves that come to us from the First Nations people of this North American continent: Sweatlodges and the Red Cedar Circle. Although we do not have native ancestry, we have been honored to learn these ways and host these ceremonies at Sacred Groves. They are always done with utmost respect to the First Peoples of this land and prayers for healing between our cultures. For more information about indigenous Native American teachings, click here for First Peoples Voices and click here for Four Directions Teachings..
Sacred Groves is honored to host monthly Red Cedar Circles and occasional Healing Ceremonies where Si.Si.Wiss medicine ways are shared and honored. Si.Si.Wiss means sacred life, sacred breath and its ways honor Creator and creation respectfully. Si.Si.Wiss traditions are ancient spiritual practices from the Pacific NorthWest Coast native people. This ceremony includes songs, prayers, simple dances, sharing food. Simple and powerful, this ceremony will leave you feeling refreshed and renewed. The circle includes traditional medicine songs and dances for each season, prayers, teachings, sometimes a “healing ceremony. ” We always share food (potluck). 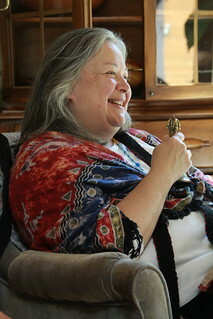 Read more about Si.Sis.Wiss Medicine ways and Red Cedar Circle by clicking here. A sweatlodge is a powerful purification ritual that has been passed to the modern world from Native American and other First Nations’ people. It involves sitting on Mother Earth, in complete darkness, in a simple lodge. Hot rocks are brought in from a fire pit, water is poured on them, prayers are spoken and sung. The ceremony generally lasts several hours starting when the fire is laid and lit. After the rocks are heated, participants enter the lodge for four “rounds,” conducted by the leader of the lodge, the “pourer,” who leads the prayers, songs and ceremony. We offer sweatlodges open to men and women once every season (except summer); we offer a women-only sweatlodge once a year in the winter. We offer sweatlodges to private groups upon request. 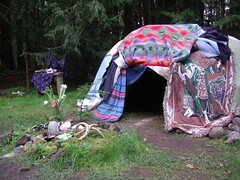 Read more about our Sacred Groves sweatlodge by clicking here.